The Rotolight chimera tech lightbank blends the light output of ANOVA into one pleasing light source, controlling the lighting either in studio or on location. 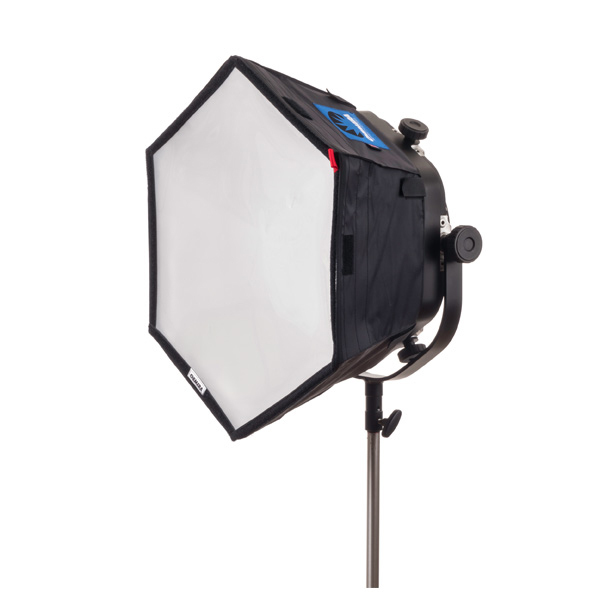 The hex-shaped lightbank is designed specifically for circular Rotolights and mounts onto the Rotolight barn door accessory. It uses an LS30 30º lens screen for efficient output. The lightbank measures 8" deep and 21" across and includes the front screen and a carrying case.